The album was put together by composer and sound archivist Mark Gergis, aka Porest, who also runs his own label Sham Palace, putting out the likes of Omar Souleyman and Dabke. It's a collection of music along with field recordings, interviews and radio broadcasts that Gergis compiled between 1997 and 2000, and journeys from Damascus on disc one to 'Greater Syria' on disc two. “I Remember Syria was assembled as an audio love letter to the country I grew to know as one of most civilized places on Earth. [...] Across the span of 14 years, I would travel there as frequently as possible. When initially released on Sublime Frequencies as a double-CD in 2004, the aim was to showcase and humanize a land and its people that had been politically and culturally exiled by the west for decades. Hopefully, these recordings can serve again as a testament to the beauty and unity of Syria, and the grace, hospitality and integrity of its people." 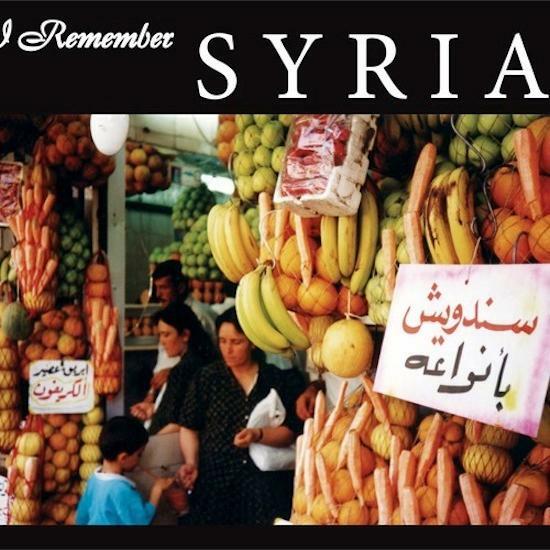 It's available via iTunes, Boomkat, eMusic and Amazon, along with Sham Palace's own release of Dabke – Sounds of the Syrian Houran, all sale proceeds of which will also go to the IFRC - get hold of it here.